To be built Luxury Capstone Homes – town home. 2335 sq. 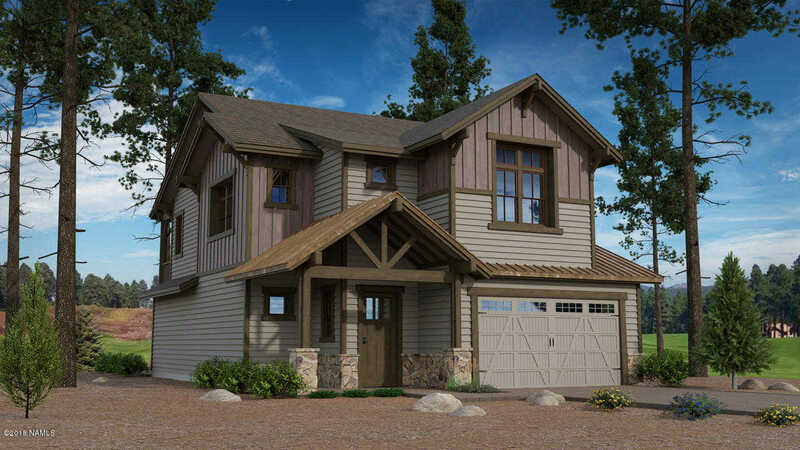 ft. home plan,w/2-bedroom, 2.5-bath, 2-car garage. The home, building site, plans, utility connections ARE included in this price. Advertised price is a base price and does not include upgrades or lot premium. Included luxury features like, Pella windows, 42 inch knotty alder cabinets, wall oven and microwave, wood flooring, granite t/o, multifaceted ext. siding and stone accents. Social($30k)(230mo)or golf membership ($60k)(430mo)required. Flagstaff Ranch is a premier golf community at over 7200 feet in elevation. It combines golf and nature – it is common to see elk & antelope in the Caldera. Amenities: Activity & fitness center, pool, spa and tennis. An elegant 25,000 sq. ft. club house for dining. Please, send me more information on this property: MLS# 164939 – $464,900 – Plan 1 Aspen Ridge, Flagstaff, AZ 86001.